Sandy Beach Parangtritis Near Ocean With Big Waves, People In Tropical Resort At Sunset. Yogyakarta, Indonesia. 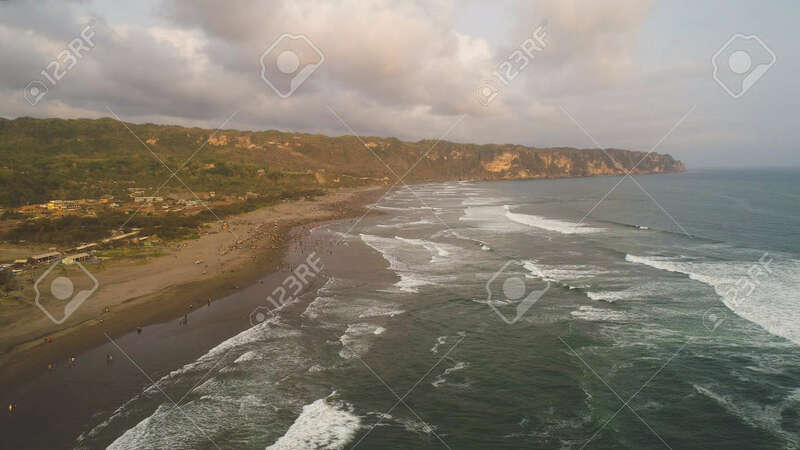 Aerial View Seascape, Ocean And Beautiful Beach. Travel Concept. Indonesia, Jawa Lizenzfreie Fotos, Bilder Und Stock Fotografie. Image 115258478.